The top 10 emitters produce around 70 percent of global emissions, based on historical emissions data from CAIT Climate Data Explorer. 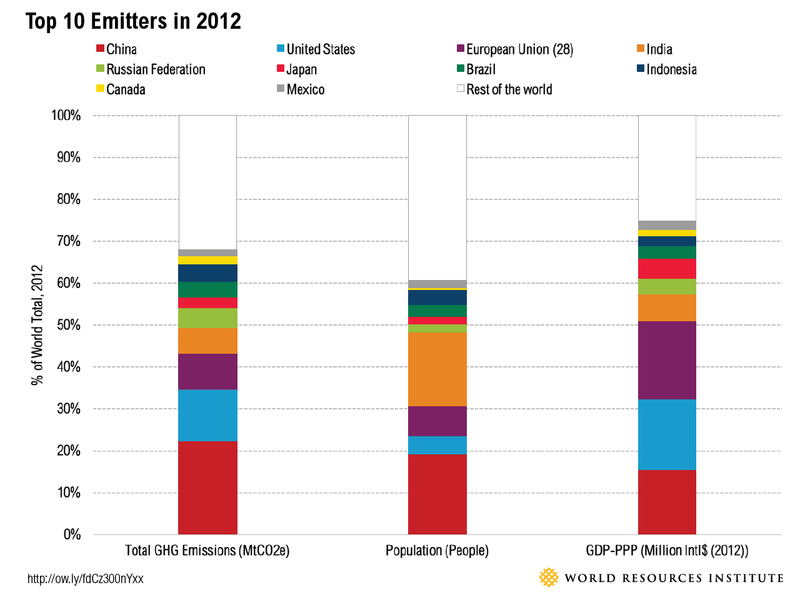 Population and the size of the economy are two major drivers of absolute emissions. From the chart, we can see that the largest absolute emitters comprised 61 percent of global population and 75 percent of global GDP in 2012.